At a staid corporate event, there’s nothing that draws a crowd like some good’ol games. Make that Virtual Reality games and you exponentially bump up the novelty factor! VizioFly has successfully created buzz by crafting a compact games station within a booth and then broadcasting a player’s experience to the crowd at large. By specially selecting games with quick turnaround times and amazing content, we give clients one of their best foot traffic outcomes ever! Should you wish to up the ante for engagement, crafting custom VR games with an embedded company logo are also within VizioFly’s abilities. That requires a consultative approach and a longer timeline but is well-worth it. Photo by Nan Palmero, licensed under CC BY 2.0. Don’t you just pity the staff whose job is to convey the culture, environment and ethos of a firm? When all they are given is a booth, some brochures, PowerPoint Slides and a 2D corporate video – most flounder. How do you explain the environment or culture of your Singapore HQ with such media? Virtual Reality films have a distinct advantage of immersing a participant within the corporate’s environs and culture. Now, he can enter the CEO’s office and listen to him passionately expound on the firm’s culture. He can feel the buzz, energy and camaraderie. While creating such customized films require a 5-digit budget, the ability to roll it out across all future events and even having it downloadable by the public – that makes for a return on investment that even Warren Buffett would be proud of. Photo by Jan Zappner, licensed under CC BY 2.0. You wish your company’s name rhymed with “chapel” and easily sold tiny iPhones that sit beautifully on a table. Instead, your products are a hulk of gleaming metal and can’t even be carried by a North Korean weightlifter. A common solution during trade or consumer fairs would be to hand out brochures and give the customer a sense of the product using expansive hand gestures. Imagine being able to have your prospect don a VR headset and be teleported to the factory floor, where he can be guided by the lead engineer, spatially appreciate the product and have engaging infographics flash before him. This would make for much stronger engagement and form the basis for an insightful discussion of the product. Companies have engaged VizioFly to have their locations/products filmed in Virtual Reality and then have advanced graphics laid over. The outcome is a compelling prospect experience and an increasingly innovative brand image. 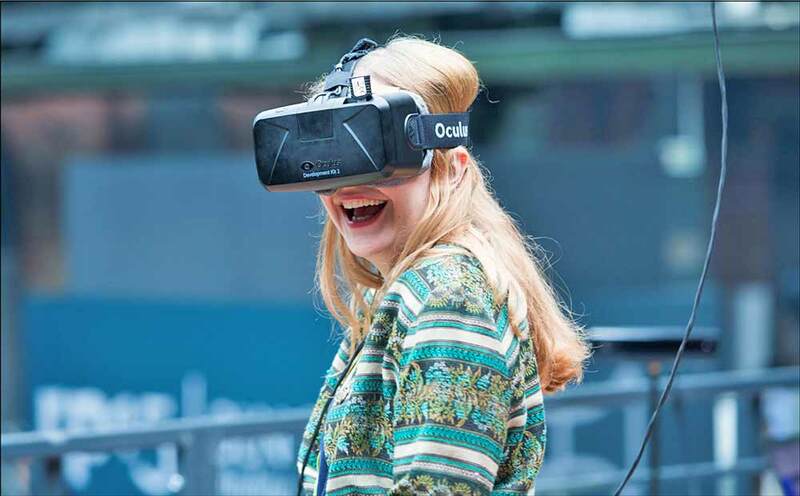 Corporates are now integrating Virtual Reality as a long-term tool for business events. Many have watched certain pioneers successfully exploit it during events and are contemplating how to ensure they are not left out. 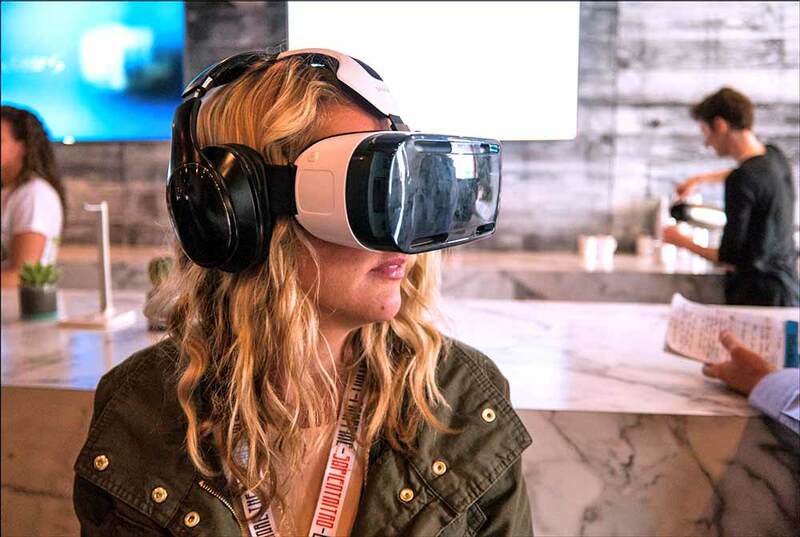 As Virtual Reality is a new technology, there is understandable hesitancy. To that end, VizioFly is committed to understanding the needs of it’s clients, patiently filling the informational gaps and thereafter, furnishing various pathways to success. Interesting blog, good information given about how virtual reality was used for corporate events in Singapore. Was very useful, thanks for sharing the blog with us.